Not all berries like the warmer temperatures in USDA zone 9, but there are hot weather loving blueberry plants suitable for this zone. In fact, there are native blueberries in abundance in some regions of zone 9. 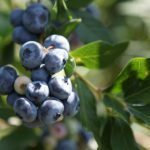 Which types of blueberry bushes are suited for zone 9? Read on to find out about zone 9 blueberries. Native to eastern North America, blueberries fit perfectly into zone 9 landscapes. The rabbiteye blueberry, Vaccinium ashei, can be found in river valleys in northern Florida and southeastern Georgia. 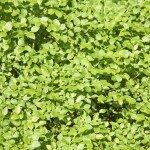 In fact, there are at least eight native Vaccinium species found growing in the woods and swamps of Florida. Rabbiteye blueberries can be grown in zones 7-9 and can grow to over 10 feet (3 m.) in height. Then there are the highbush blueberries. They require winter’s cold temps. Most highbush varieties grow in colder climates, but there are southern varieties that work well as blueberry bushes for zone 9 gardeners. 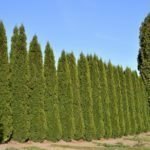 These southern highbush varieties grow in zones 7-10 and grow upright to heights of between 5-6 feet (1.5-1.8 m.). 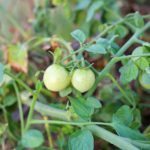 The earliest ripening southern highbush varieties ripen around 4-6 weeks earlier than the earliest rabbiteye types of berry. Both types of hot weather blueberry plants need another plant for cross pollination. That is, you need another southern highbush to pollinate a southern highbush and another rabbiteye to pollinate a rabbiteye. 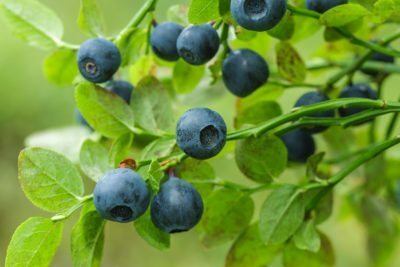 Blueberries in zone 9 can be used in cluster plantings, as specimen plants or as hedges. They make a lovely addition to the landscape almost year round, with their delicate white flowers in the spring, their bright blue fruit during the summer and the changing colors of their foliage in the fall. 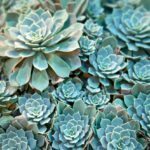 Another bonus for the gardener is their resistance to most diseases and insect pests. All blueberries like their soil acidic. They have fine surface roots that you should avoid disturbing when cultivating around them. They need full sun, well-draining soil and consistent irrigation for the best fruit production. Rabbiteye blueberries may be early, mid, or late season, depending upon the variety. Early season rabbiteyes have the potential for damage due to possible late spring freezes, so to be really safe, choose a mid- to late season rabbiteye if sudden late freezes are common in your region. Mid- and late season rabbiteye cultivars include Brightwell, Chaucer, Powderblue and Tifblue.